Enbrel® (etanercept: manufactured by Immunex Corporation, Newbury Park, Thousand Oaks, CA 91320, USA) was the first biological disease-modifying anti-rheumatic drug approved for the treatment of rheumatoid arthritis (RA) in Europe. More recently, an etanercept biosimilar (Benepali®: manufactured by Biogen Inc, Cambridge, MA 02124, USA) was approved in the European Union. The perceptions and preferences of the Benepali autoinjector versus Enbrel MYCLIC autoinjector were evaluated by nurses from Europe. The survey involved a 25-min face-to-face questionnaire-interview with nurses from France, Germany, Italy, Spain, and the UK, experienced in training patients on using the Enbrel MYCLIC autoinjector. Nurses viewed an instructional video and device-handling leaflet, received a live demonstration on the Benepali autoinjector and had access to both Benepali and Enbrel MYCLIC training autoinjectors. Nurses rated the importance of ten autoinjector attributes on a scale of 1–7 (1 = not important at all; 7 = extremely important) and provided their autoinjector preferences based on specific attributes. Nurses also gave their opinion on which autoinjector their patients with RA would prefer. A total of 149 nurses participated in this survey (France, n = 30; Germany, n = 40; Italy, n = 30; Spain, n = 19; UK, n = 30). ‘Easy to operate the self-injection’ was ranked as the most important attribute (mean score of 6.8), followed by ‘easy to grip’ (6.6) and ‘intuitive/self-explaining usage’ (6.6). Nurses preferred the Benepali autoinjector, with attributes of ‘easier to operate’ and ‘more intuitive to use’ being strong differentiators compared with the Enbrel MYCLIC autoinjector. Most nurses (86%) reported that their patients would prefer the Benepali autoinjector over the Enbrel MYCLIC autoinjector. ‘Easy to operate the self-injection’ and ‘button-free autoinjector’ were key drivers when selecting an autoinjector. Based on these survey results, nurses in Europe reported a preference for the Benepali autoinjector compared with the Enbrel MYCLIC autoinjector for the majority of attributes assessed. In particular, attributes of ‘easy to operate’ and ‘more intuitive/self-explaining to use’ were highly rated for the Benepali autoinjector, which may allow easy handling of the autoinjector. To view enhance content for this article go to http://www.medengine.com/Redeem/A3D4F06024B7569C. The online version of this article (doi: 10.1007/s40744-016-0035-1) contains supplementary material, which is available to authorized users. An erratum to this article is available at https://doi.org/10.1007/s40744-016-0045-z. The management of rheumatoid arthritis (RA) has improved with the introduction of disease-modifying anti-rheumatic drugs (DMARDs). Typically characterized by their ability to reduce or reverse signs and symptoms, disability and progression of joint damage, DMARDs suppress the disease process, improving patient quality of life, and functional capacity [1, 2]. Two classes of DMARDs are currently available - conventional synthetic DMARDs and biological DMARDs (bDMARDs)  - with bDMARDs increasingly being used for the treatment of RA as a result of their efficacy and safety profile . Several types of bDMARDs are available, with the first approved targeted bDMARD for RA in Europe, being the tumor necrosis factor (TNF) inhibitor, Enbrel® (etanercept; manufactured by Immunex Corporation, Newbury Park, Thousand Oaks, CA 91320, USA) . Benepali®, an etanercept biosimilar (manufactured by Biogen Inc, Cambridge, MA 02124, USA), is now approved in the EU for the treatment of adults with moderate-to-severe RA, psoriatic arthritis, axial spondyloarthritis (ankylosing spondylitis and non-radiographic axial spondyloarthritis), and plaque psoriasis . The biosimilarity of this product has been confirmed through the robust preclinical and clinical (Phase I and Phase III) testing [7, 8]. Results from a Phase III, randomized, double-blind, parallel-group, multicenter study in patients with moderate-to-severe RA despite methotrexate therapy (n = 596) demonstrated that Benepali was equivalent to etanercept (Enbrel) for the primary efficacy endpoint [American College of Rheumatology 20% (ACR20) response at Week 24]. At Week 24, the ACR20 response rate was 78.1% for Benepali and 80.3% for Enbrel in the per-protocol set. The 95% confidence interval of the adjusted treatment difference was −9.41 to 4.98%, which was completely contained within the predefined equivalence margin of −15 ± 15%, indicating therapeutic equivalence between Benepali and Enbrel. Other efficacy and pharmacokinetic endpoints were comparable, as was the incidence of treatment-emergent adverse events . Treatments for RA, such as the Enbrel and Benepali, are administered by subcutaneous (SC) injection [6, 9]. This route of administration is not uncommon, particularly in chronic diseases, such as RA, diabetes, and multiple sclerosis [10, 11, 12]. A number of different devices are available for SC injection (prefilled syringes and autoinjector devices), with selection of device being influenced by a number of factors, including physician and patient preference . Patients receiving this type of medication need to know how to self-administer their medication, with training typically being provided by nurses [14, 15, 16]. Several studies have shown that patients prefer autoinjector devices over more conventional methods of treatment administration (e.g., vial and syringe, prefilled syringe), based on factors, such as ease of use, convenience, acceptability, and satisfaction [10, 17, 18, 19, 20]. Moreover, some patients have reported improved quality of life when using autoinjectors . This preference for autoinjectors has been observed not only in patients with RA [10, 18, 20], but also in patients with chronic conditions, such as type 2 diabetes  and anemia . Results from a two-phase, cross-sectional study in patients with RA, psoriatic arthritis, and ankylosing spondylitis, which assessed patient’s acceptance of switching adalimumab from a prefilled syringe to an autoinjector device, reported increased treatment adherence and self-administration, and decreased pain at the injection site following this switch. Furthermore, 86.3% of patients rated the autoinjector as easier to use than the prefilled syringe, with 96.1% selecting the autoinjector as their preferred delivery system . Furthermore, results from a recent multicenter, randomized, crossover study in patients with RA self-injecting with methotrexate reported that both nurses and physicians would recommend an autoinjector over a prefilled syringe based on its convenience . Training and support for patients with chronic diseases who self-administer their medication are of paramount importance, so that patients can effectively manage their condition. Nurse practitioners play a key role in the multidisciplinary team involved in the treatment of patients with chronic inflammatory arthritic conditions, including RA. Nurses have a crucial role in educating and supporting patients with RA [14, 15, 16, 21]. Studies have demonstrated that patient education has a positive effect on health, quality of life, and self-care capability of patients with RA . Consequently, this survey was undertaken to evaluate nurses’ perceptions of the Benepali autoinjector for use in the treatment of patients with RA. The survey was conducted between December 2015 and February 2016 in five EU countries (France, Germany, Italy, Spain, and the UK). This survey, including the pilot survey, was executed by Kantar Health GmbH, an independent market research and consulting firm, based in Munich, Germany. Kantar Health GmbH ran the survey in accordance with market research guidelines, data protection laws, and data privacy legislations, ensuring the formulation, implementation, and maintenance of an effective quality assurance system. The work of Kantar Health GmbH is compliant with ISO 20252:2012, the International Standard for Market, Opinion, and Social Research. As a member of several national and international market research associations, including ADM (Arbeitskreis Deutscher Markt und Sozialforschungsinstitute e.V. ), EphMRA (European Pharmaceutical Marketing Research Association), CASRO (Council for American Survey Research Organizations), and ESOMAR (European Society for Opinion and Market Research), Kantar Health GmbH strictly adheres to the latest industry codes of conduct and guidelines in market research, including adverse-event reporting. Kantar Health GmbH outsourced recruitment to another agency, Schmiedl Marktforschung GmbH, who enrolled nurses from various sources, including nurse databases, office-based practices, and through recommendations from hospitals and other nurses. To be eligible to participate in the survey, nurses had to have recent experience in using the Enbrel MYCLIC autoinjector (a minimum of twice in the previous/last month; on average, eight times in the last month) in their patients with RA. Nurses provided written consent before participating in the study and were compensated for their time with an honorarium. An English master questionnaire was created, tested, and validated in pilot interviews to ensure appropriate flow and content. The questionnaire was translated into German, Italian, French, and Spanish. Interviews were conducted in the local language of the European country. Each nurse participated in a 25-min face-to-face interview, during which the interviewer read out questions from the set questionnaire and noted the responses. Questions were sequential and broadly divided into sections based on the types of information sought. In addition, during the allocated 25 min, nurses were shown an instructional video and device-handling leaflet, received a live demonstration on the Benepali autoinjector and had access to both the Benepali and Enbrel MYCLIC autoinjectors (see supplementary material for full details on the questionnaire). In the first section of the questionnaire (Q1), nurses were asked to rate the importance of ten attributes, when considering an autoinjector device in general, on a scale of 1–7 (1 = not important at all; 7 = extremely important). The attributes that were assessed at random during the interviews were: (1) size of the autoinjector, (2) attractive design of the autoinjector, (3) easy to grip the autoinjector, (4) easy to operate the self-injection with the autoinjector, (5) audible feedback after treatment has been successfully injected, (6) visual feedback after treatment has been successfully injected, (7) concealing the injection needle in the injector body, (8) intuitive/self-explaining usage, (9) button-free autoinjector, and (10) weight of the autoinjector. In the second section of the questionnaire (Q2–Q11), nurses were shown an instructional video and device-handling leaflet, received a live demonstration on the Benepali autoinjector and had the opportunity to handle both the Benepali and the Enbrel MYCLIC autoinjectors. Nurses were then asked for their preference of autoinjector (Benepali, Enbrel MYCLIC, or both the same) based on nine of the ten attributes assessed in Part 1 of the questionnaire (button-free device was excluded from this section, as this attribute related only to the Benepali autoinjector and hence could not be rated for the Enbrel MYCLIC autoinjector). In the third section of the questionnaire (Q12–Q13), nurses were asked their opinion, as to which autoinjector their patients with RA would prefer to use for self-injection (Benepali, Enbrel MYCLIC, or no preference), considering the information that they had received from the instructional video and device-handling leaflet and their own handling of the Benepali and Enbrel MYCLIC autoinjectors. Nurses were asked to select the top three attributes that drove their preference for one autoinjector over the other, based on the attributes assessed in Part 1 of the questionnaire. Finally, the questionnaire contained nurse demographic data questions, including age, gender, years of training patients with RA, and geographical region/country. The analysis population was defined as the nurses who completed the survey. During the face-to-face interviews, responses provided by nurses were uploaded onto an Excel spreadsheet by the interviewer. Data input from all interviews was collected by the recruitment agency and analyzed by Kantar Health GmbH. In this survey, a minimum of 30 respondents per country was considered to be a robust sample size. Statistical significance was estimated using the Student’s t-test (Microsoft Corp. Released 2013. Microsoft Excel, Version 2013. Redmond, Washington: Microsoft Corp). In this survey, which was designed to assess nurse perceptions and preferences for the Benepali autoinjector compared with the Enbrel MYCLIC autoinjector, a total of 149 nurses from France (n = 30), Germany (n = 40), Italy (n = 30), Spain (n = 19), and the UK (n = 30) participated. The lower number from Spain was based on the lower availability of nurses with the required experience in using/training for the Enbrel MYCLIC autoinjector. Nurses were generally female (90%), aged between 41–50 years (36%) and 31–40 years (28%) (Table 1). Nurses were primarily hospital-based (79%), although some were office-based (16%), with a few being based in both hospital- and office-based clinics (5%). Nurses participating in the survey had more than 8 years’ experience in training patients with RA in the use of injection devices (autoinjectors and prefilled syringes), with more than 80% of nurses having provided patients with previous instruction on using Enbrel MYCLIC (dummy devices and autoinjectors). All nurses participating in the survey had recent experience in injecting the Enbrel MYCLIC, having done so approximately 7–8 times in the last month. Nurses were asked to evaluate the importance of ten attributes, when considering an autoinjector device in general, on a scale of 1–7 (1 = not important at all; 7 = extremely important). Overall, ‘easy to operate the self-injection’ was ranked as the most important attribute by nurses (mean score of 6.8), followed by ‘easy to grip’ (6.6), ‘intuitive/self-explaining usage’ (6.6), ‘concealing the injection needle in the injector body’ (6.4), ‘audible feedback after treatment has been successfully injected’ (6.2), and ‘visual feedback after treatment has been successfully injected’ (6.2). The attributes of ‘weight of the autoinjector,’ ‘size of the autoinjector,’ and ‘button-free device’ were considered to be less important attributes by nurses, with mean scores of 5.8, 5.6, and 5.6, respectively. ‘Attractive design of the autoinjector’ was considered to be the least important attribute by nurses, with a mean score of 3.9 (Fig. 1). Nurses were asked for their preference of autoinjector based on nine of the ten attributes previously assessed (‘button-free device’ was not included in this section). Overall, attributes of ‘easier to operate’ and ‘more intuitive to use’ were strong differentiators for the Benepali autoinjector compared with the Enbrel MYCLIC autoinjector; 87% and 68% of nurses reported that the Benepali autoinjector was ‘easier to operate’ and ‘more intuitive to use’ than the Enbrel MYCLIC autoinjector (Fig. 2). In addition, country-specific data showed that nurses from all five EU countries preferred the Benepali autoinjector compared with the Enbrel MYCLIC autoinjector based on these two attributes (Fig. 3a, b). Overall, nurses preferred the Benepali autoinjector, compared with the Enbrel MYCLIC autoinjector, for attributes of ‘right weight,’ ‘better audible feedback,’ ‘better visual feedback,’ ‘easier to grip,’ ‘better size,’ and ‘attractive design’ (Fig. 2). The attribute of ‘conceals the injection needle better’ was rated as being the same for both autoinjectors by 69% of nurses. Nurses were asked their opinion, as to which autoinjector their patients with RA would prefer to use for self-injection. The majority of nurses [n = 128/149 (86%)] reported that their patients would prefer the Benepali autoinjector; only a very small number of nurses [n = 9/149 (6%)] reported that their patients would prefer the Enbrel MYCLIC autoinjector. Twelve nurses (8%) stated that their patients would have no preference for either device. These findings were replicated across the five EU countries (Fig. 4). Nurses were also asked to select the top three attributes that drove their preference for one autoinjector over the other. Among the 128 nurses who indicated a preference for the Benepali autoinjector, the reasons most commonly given for their preference were “easy to operate” (n = 96) followed by “button-free autoinjector” (n = 84). Among the nine nurses who indicated a preference for the Benepali autoinjector, the most common reasons given were “easy to operate” (n = 6), followed by “easy to grip” (n = 5), “audible feedback” (n = 4), and “concealing the injection needle” (n = 4) (Fig. 5). Results from our nurse survey (n = 149) conducted in five countries in the EU demonstrated a preference for the Benepali autoinjector compared with the Enbrel MYCLIC autoinjector at both an individual country and European level. This survey highlighted that attributes of ‘easy to operate the self-injection’ and ‘intuitive/self-explaining usage’ were considered by nurses as being the most important attributes when selecting an autoinjector for their patients with RA. Moreover, nurses rated attributes of ‘easy to operate’ and ‘more intuitive to use’ as strong differentiators for the Benepali autoinjector compared with the Enbrel MYCLIC autoinjector. Attributes of ‘easy to operate the self-injection’ and ‘button-free autoinjector’ were also reported as key drivers impacting nurses’ choice of autoinjector. Taken together, these attributes may be collectively described as those that may allow easy handling of the autoinjector by patients with RA, suggesting that nurses in Europe consider the Benepali autoinjector to be easier to handle than the Enbrel MYCLIC autoinjector. This is of key importance, as the RA patient population presents specific challenges for the accurate administration of SC therapies due to common symptoms of joint pain and limited manual dexterity . Actual units of Enbrel (50 mg dosing) autoinjectors versus prefilled syringes sold have shown differences across EU countries, with more prefilled syringes than autoinjectors being sold in most of the countries (Germany, 33%; UK, 60%; Spain, 30%; Italy, 27%; and France, 50% ). Interestingly, results from our survey reported that all nurses in Germany (100%) preferred the Benepali autoinjector over the Enbrel MYCLIC autoinjector, with ≥80% of nurses rating attributes of ‘easier to operate’ and ‘more intuitive/self-explaining use’ as preferred attributes of the Benepali autoinjector. Thus, the ease of use with the Enbrel MYCLIC autoinjector may influence acceptance and uptake of this mode of drug delivery in countries, such as Germany, Italy, and Spain, where previous use of autoinjectors was much lower than with prefilled syringes . Results from our survey are aligned with a recent study that assessed the usability and acceptability of the abatacept prefilled autoinjector in patients with RA, caregivers, and healthcare professionals (pre-validation study, n = 54; validation study, n = 99) . In this study, participants evaluated the abatacept autoinjector and competitor devices on a number of key attributes (comfort, control, ease of use, and confidence of dose) using a seven-point scale. Results from this study showed that positive experiences with the abatacept autoinjector were due to attributes that improved usability, such as rubberized grip, device size, visualization of dose progression, button ergonomics, and ease of use. This improved usability and prevented user errors. These findings re-affirm the relevance of the attributes selected for inclusion in our survey, and emphasize the value of such attributes as ‘ease of use’ and ‘intuitive/self-explaining’ for patients using an autoinjector for the SC treatment of RA. Nurses have an important role in educating and supporting patients with RA, particularly with regard to treatment. Nurses can influence their patients to make informed treatment choices, which may optimize patient outcomes . Results from our survey have demonstrated that nurses in Europe preferred the Benepali autoinjector compared with the Enbrel MYCLIC autoinjector based on the majority of attributes assessed. As is the norm with this type of research, it is important to note that our survey used the training device for the Benepali autoinjector instead of the actual device, a procedure that would have affected the weight of the autoinjector, as the training device did not contain the active ingredient. However, the attributes that were considered to be the strongest differentiators for the Benepali autoinjector compared with the Enbrel MYCLIC autoinjector - ‘easier to operate’ and ‘more intuitive use’ - are unlikely to be affected by the additional weight of the active ingredient. The majority of nurses (86%) in our study also reported that their patients would prefer the Benepali autoinjector over the Enbrel MYCLIC autoinjector. This is of paramount importance given that nurses play a key role in training patients with RA and, therefore, have regular contact with patients. To determine whether patient and nurse preferences for the new Benepali autoinjector are aligned, a second survey, based on the same protocol, is currently underway in patients with RA. Results will be reported shortly. As with any other market research, there are some limitations to this survey that should be acknowledged. The survey results are based on nurse perception regarding the Benepali autoinjector, rather than actual clinical experience. Furthermore, some selection and interviewer bias may have been present. However, to avoid selection bias, screening criteria were developed and strictly followed to ensure that only nurses who reflected the target population were interviewed. Likewise, to avoid any potential interviewer bias, detailed briefings were conducted with all interviewers across the different countries to ensure that interviews were performed in an identical manner. In this survey, only nurses with recent experience in training patients on using the Enbrel MYCLIC autoinjector were included. Results of this survey may not be extended for nurses inexperienced in the use of Enbrel MYCLIC autoinjector. Anti-TNFs, such as etanercept, have significantly improved the outlook for patients living with conditions like RA . The introduction of Benepali, the first etanercept biosimilar available in the EU, provides an opportunity to reduce healthcare costs and to potentially expand the number of patients who can benefit from these important treatment options. Benepali, the first etanercept biosimilar, is now available in the EU. Results from this nurse survey in five EU countries demonstrated that, overall, nurses preferred the Benepali autoinjector compared with the Enbrel MYCLIC autoinjector. In particular, the Benepali autoinjector was preferred for attributes of ‘easy to operate the self-injection’ and ‘intuitive/self-explaining usage’. Furthermore, the majority of nurses reported that their patients would prefer the Benepali autoinjector over the Enbrel MYCLIC autoinjector. These findings suggest that nurses in Europe may consider the Benepali autoinjector to be easier to handle than the etanercept autoinjector. Sponsorship and article processing charges for this study were funded by Biogen International GmBH. The authors would like to thank the nurses who participated in this survey. Writing and editorial support was provided by Saema Magre, Phil Ford, and Frances Gambling of InVentiv Health, and was funded by Biogen International GmBH. All named authors meet the International Committee of Medical Journal Editors (ICMJE) criteria for authorship for this manuscript, take responsibility for the integrity of the work as a whole, and have given final approval for the version to be published. All authors had full access to all of the data in this study and take complete responsibility for the integrity of the data and accuracy of the data analysis. Kunal Thakur, Alexandra Handrich, and Mourad Farouk Rezk are employees of Biogen International GmBH. Anna Biberger is an employee of Kantar Health GmbH, the company who executed the survey. Nurses provided written consent before participating in the study. European Medicines Agency. http://www.ema.europa.eu/ema/index.jsp?curl=pages/medicines/human/medicines/000262/human_med_000764.jsp&mid=WC0b01ac058001d124. Accessed 25 April 2016. Benepali Summary of Product characteristics. http://www.ema.europa.eu/docs/en_GB/document_library/EPAR_-_Product_Information/human/004007/WC500200378.pdf. Accessed 8 March 2016. Emery P, Vencovský J, Sylwestrzak A, et al. 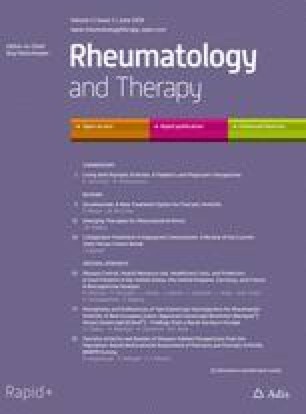 A phase III randomised, double-blind, parallel-group study comparing SB4 with etanercept reference product in patients with active rheumatoid arthritis despite methotrexate therapy. Ann Rheum Dis. 2015. doi: 10.1136/annrheumdis-2015-207588. [Epub ahead of print]. Enbrel Summary of Product characteristics. http://www.ema.europa.eu/docs/en_GB/document_library/EPAR_-_Product_Information/human/000262/WC500027361.pdf. Accessed 8 March 2016.